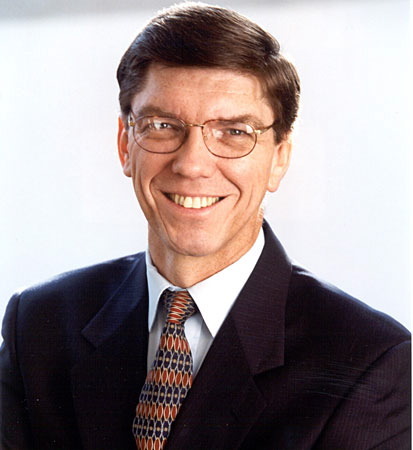 Best-selling author, Harvard B-school professor and innovation guru Clayton Christensen has been saying since at least his book The Innovator’s Dilemma, that technology is just about to shakeup the entrenched world of education. Innovator’s Dilemma, the first in Christensen’s innovator’s franchise, was first published in July 1997. Perhaps to help catalyze that change in education, Christensen has recently released a new book called Disrupting Class: How Disruptive Innovation Will Change the Way the World Learns. Maybe one of those disruptors will be the small online education company Agilix Labs, and its social network product… still in beta… called BrainHoney. BrainHoney allows you to offer a class with text graphics and video using a Powerpoint like interface. Then you can add quizzes, tests and games. In that way it’s not much different from Instructables, WikiHow, and ExpertVillage. What does make BrainHoney distinct is that they’ll host your courses for a nominal fee and then split the proceeds from the sale of your coursework. You could be teaching a class on your favorite topic tomorrow and earning a little scratch besides. Already some 230 lessons have been loaded on BrainHoney, including a course on how to make a lemon-battery, how to play a guitar chords, and how to make ice cream that tastes like hot chocolate. Potentially this is a boon to informal learners and teachers. Unlike TeachStreet, which helps you find people willing to tutor you face-to-face in your own town, BrainHoney represents asychronous learning. That is, you don’t have to be there at the same time as the instructor and thereby opening you to a world of learning. Who knows whether Agilix and BrainHoney will survive and thrive? A better mousetrap alone is no guarantee of business success. But I whether Agilix does or someone else does, I expect we’ll soon see a huge inventory of courses for informal learners.